COAI’s Net Neutrality campaign focused on voice customers as it leveraged on traditional SMSes and voice calls to garner support. 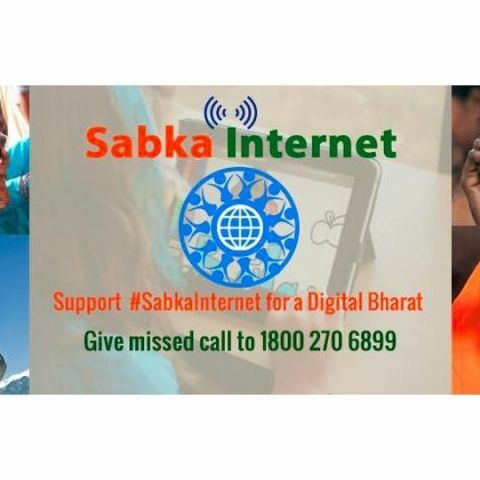 COAI recently launched a new initiative ‘Sabka Interet Sabka Vikas’ that aimed to help connect unconnected citizens. However, the main purpose of the platform was to help everyone, with a special emphasis on voice customers, extend support on the issue of Net Neutrality. According to COAI, the platform has received support from over 40 lakh users in less than a week of its launch. The operators body said over 40 lakh people showed their support for the cause while about 10% chose to opt out. SMSes and voice calls were leveraged to promote campaign and to garner the support on Net Neutrality. To ensure ease of understanding, the messages were conveyed in 12 local languages across India. COAI reveals this medium was intentionally selected so as to be able to reach out to and include the views of the millions of mobile customers who are yet to be connected to the internet. COAI further claims entire mobile number database of supporters is auditable on request by the appropriate agency. COAI members had reaffirmed their commitment to the government’s Digital India programme and to promote Net Equality, so as to facilitate an open, inclusive and affordable access to the Internet for every Indian. “We respect the choice of our customers and support the Prime Minister’s vision of Digital India. #SabkaInternet has always been the essence of our philosophy and the billions of dollars investments made by all the telecom operators in the space,” added Mr. Mathews.